Carroll County Genealogical Society has produced a number of special projects representing research conducted by it's associates and members.These projects are provided for your review and research. Please use the material as needed to support your research and we only ask that you appropriately site the source and material. If you find a brick wall suddenly tumbles as a result of research you conducted here please consider a small donation or a membership with the Carroll County Genealogical Society. Your support guarantees that we can continue to provide Collections such as these to assist you. This table provides a list of surnames for those interred in a Carroll County Cemetery. The complete collection of of over 71,000 people can be found in the membership area of the website. The Offical program for the Centenial Celebration of Carroll County 1837-1937, provides a historical synopsis of the County, as well as a quick look at the Towns. Please read the Introduction as it provides an explanation of these records. These are listings of the records from Carroll County. The actual files are located at the Maryland Archives in Annapolis. Represented are notes and information submitted by many other researchers and often undocumented. Some family envelopes may contain full or partial copies of material used to document research. They may also contain family sheets and undocumented trees handwritten or printed. We consider this material of value, given the time frames in which this material may have been submitted, often 20 - 30 years past. Some researchers may point to out of print books and contain passages from these past treasures. Hints and direction can often be found in review. County Public Library. They represent more than 30 years of donations by the authors or compilers. attempt to find addresses of the authors in case you wish to inquire about purchasing a copy from them. This is a series of 15 articles published in the Union Bridge Pilot, a Carroll County, Maryland, newspaper, in 1910. J. L. Switzer looks back more than 50 years to recount events of his childhood and the people living in and around his hometown of Union Bridge. Delaware Hundred - approximate location in the souteast corner of Carroll County today. From Md Archives. Pipe Creek Hundred - comprises an area around Westminster today. From Md Archives. Digital images from a Carroll County Commissioners of the Tax account book, 1858-1872. This Maryland State Archives collection is found under SC 6166-1-1 in the Special Collections offerings. It is the result of a collaborative effort by the Carroll County Historical Society and the Maryland Archives. The collection offers insight into expenditures by the County and interaction with it's citizens. 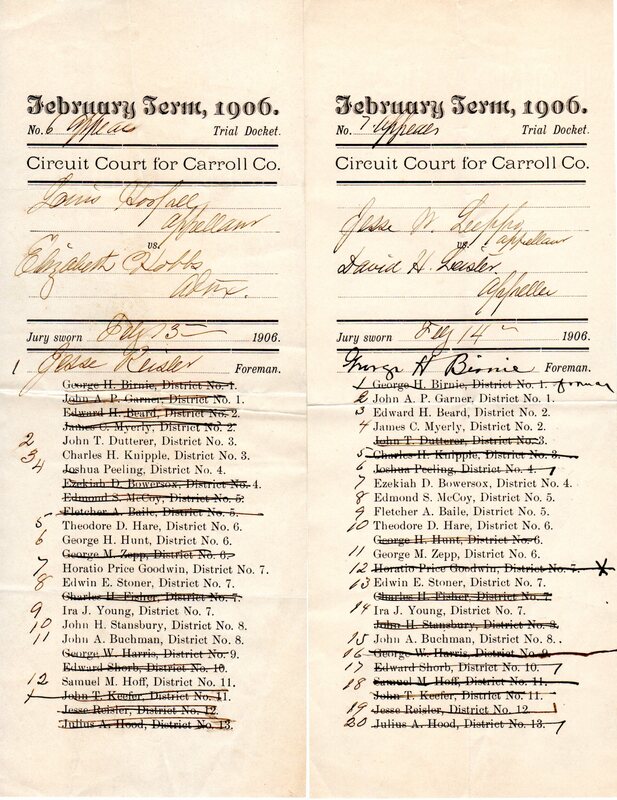 Filled with names and payments you just might find your ancestor in the many listings. It is a large file so please be patient as it downloads for viewing. We think you will find it of interest and a gold mine when your family surname is found.